Having created over 5,000 custom reports to date—from adding a custom field or column to reports of extreme complexity—we have the expertise to get your reports just right, too. 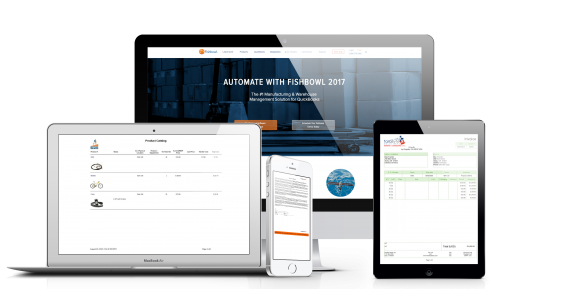 The right custom Fishbowl reports can streamline decision making, solve headaches and help your business grow and prosper. TaraByte uses a consulting-based approach to help you figure out what you need and then make it happen for you. Plus, we’re not limited to the Fishbowl platform and iReport. We create reports that work directly with Excel, PowerPivot, KlipFolio, PowerBI, YellowFin and other platforms. Create certificates, government forms, pro-forma invoices, shipping invoices, lot traceability documents and Pedigree reports and other compliance records. Look into your sales and understand your company, with customized Commission reports, Customer Statements, Advanced Sales Analysis and more. Create custom reports for Work Order travelers, Bill of Materials, Manufacture Order Actual Cost, Work Orders Finished Goods and Raw Goods, and Advanced Manufacturing Performance and Analysis. Stand out from competition! Get great-looking Estimates, Sales Orders, Shipping Invoices, Look Books, Product Catalogs and other documents. We can even use your colors, images and custom fonts! If it sticks on a box, we can make it for you! Just tell us what type of label you need: Barcode, EDI, ASN, Receiving, Shipping, Manufacturing, Part and Product, and more. We can also integrate Fishbowl with your label printing software. See what, when, how much and from whom you need to buy.